Apparently there have been rumblings among administrators at the four Women’s NRL Premiership (NRLW) foundation clubs that the competition is costing them too much (estimated to be between 300 and 400k per team) and they are threatening to withdraw from the competition. Withdraw from the competition? The last time we heard that sort of talk was in the mid 1990s during the code damaging Super League war. It could have been dismissed as a media beat up however New Zealand Warriors CEO Cameron George confirmed the reports. Dragons CEO Brian Johnston stated that current financial model was a “burden” on the clubs. There is no doubt this is really about lobbying to get more funding from the NRL. There is no issue with clubs seeking more money from the governing body but to threaten withdrawal when things become a bit difficult is insulting and disrespectful to the players. 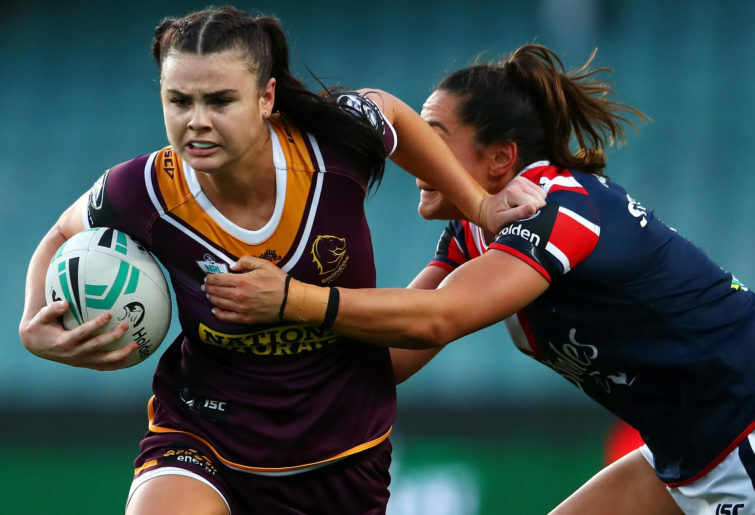 When the NRL called for nominations for the inaugural NRLW competition six clubs expressed interest while others cited financial or structural barriers at the time for not nominating. The NRL, clearly determined to set the competition up for a sustainable future, went with four teams in 2018 based on geographical location and available resources. Cronulla and South Sydney publicly expressed disappointment on not being included after both clubs actively supported the women’s game. The four NRLW clubs, Brisbane, New Zealand Warriors, St George Illawarra and the Sydney Roosters were granted the privilege of taking the women’s elite club championship forward. It is the beginning of a competition that is destined to grow and become commercially viable. Roosters coach Trent Robinson, who strikes me as a person that thinks broadly about the game and its direction, but admittedly doesn’t pay the bills, came out in support of the competition saying that women “deserve to be in the game as much we do” and that women are “the future” of rugby league. Wests Tigers were a club that didn’t apply due to timing and resources but signalled they would put their hand up for a spot in the future when the competition expanded. The governing body has a responsibility to support and grow the game and so do the competing clubs. The motor is running on womens rugby league and it doesn’t help when administrators suggest they might turn the ignition off when the journey is just beginning. The NRL announced a profit last year of 41.8 million. 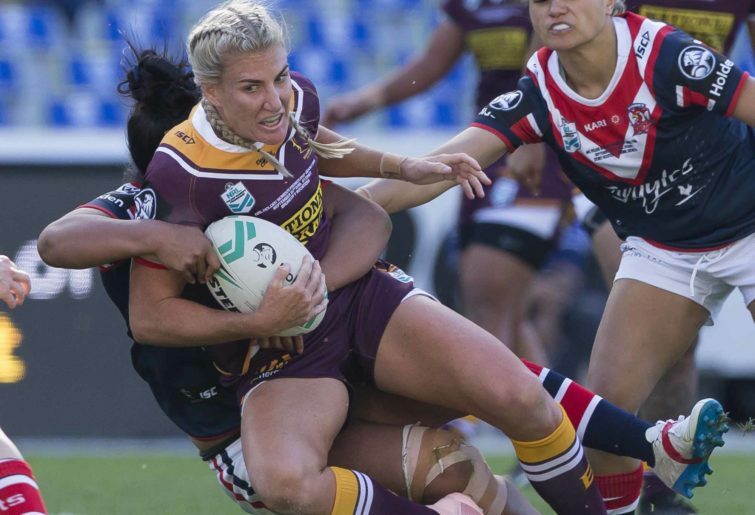 In the same release the governing body revealed that the first NRLW season attracted a cumulative television audience of 1.85 million and matches boasted the highest average audience (67,948) of any women’s football competition in Australia last year. The best players in Australia and New Zealand crossed club affiliation lines in many instances just to be involved. It can only be deemed a success. As coach of a rugby league club on the other side of the world that recently gained a women’s squad, I use highlight reels of player such as Kezie Apps and Isabelle Kelly as a source of inspiration for players that are new to the sport. You only have to watch Power Meri, Joanna Lester’s superb documentary detailing the Papua New Guinea women’s team’s course to the 2017 World Cup and the barriers they faced, to get an insight into the positive social impact the game can offer. More funding can and should go to junior and regional rugby league but the issues are not mutually exclusive. While participation in rugby league in Australia grew slightly by 3.5 per cent in 2018 on the previous year it was female participation that was the real area of growth with an increase of 29 per cent on the 2017 numbers. The underlying pathway is being embedded with state women’s and under 18s competitions established and growing. The AFLW which began one year earlier drew a record breaking crowd of 53,000 to Adelaide Oval on the weekend. Women’s rugby league is a fantastic product watched by a growing audience and it is here to stay. That’s the starting point for any discussions. Revenue and support for the NRLW will continue to increase. Like the men’s game we should be talking about how we grow and expand the elite competition further.